At the bottom of this post you will find a map and a table of AVC visit activity by geography for the past twelve months. You could look at this data two ways. AVC is dominated by US visitors. That's true. 63% of visits come from the US. 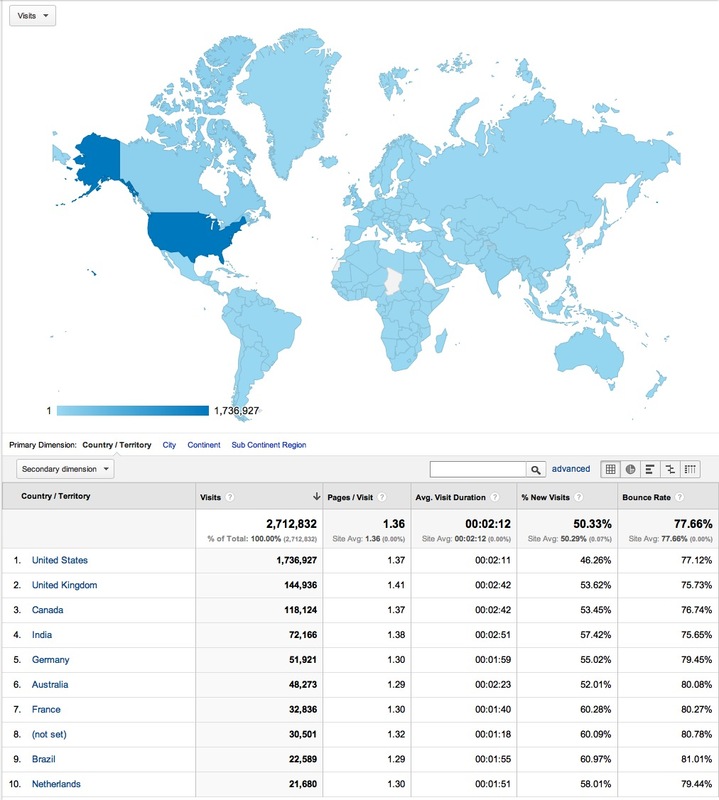 Or you could say that this is an international community wtih about 1mm visits a year coming from outside the US. Both are true. Everyone is welcome here at AVC. But we do use english as the language of choice in this community. And so english language speaking countries dominate. The bounce rates are highest and the visit lengths are shortest in the countries that aren't english native. That makes sense to me. I am proud to have an international readership and community here at AVC and I hope we can make it even more so in the coming years because entrepreneurship and technology are global phenomenons and only growing more so.